I'm in the final year of my MA in Collections Care and Conservation Management. It's a part-time course and includes an element of Work Based Learning which means we complement our studies at West Dean with experience and learning at our places of work or volunteer placements. 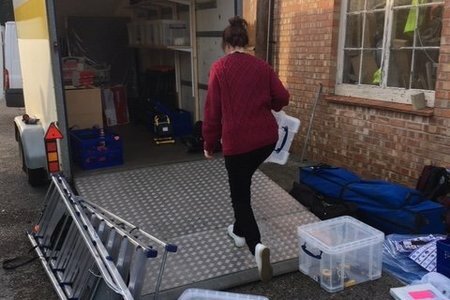 I am working for English Heritage, caring for the collections that are displayed on sites or held in store across the Southeast and can use my experiences gathered there as case studies for my MA. 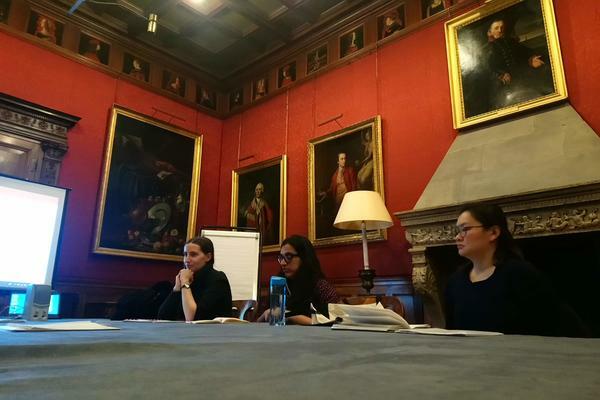 Conversely, I have also been able to apply things that I learn at West Dean directly to my workplace, enhancing the work of EH in caring for and managing its collections. 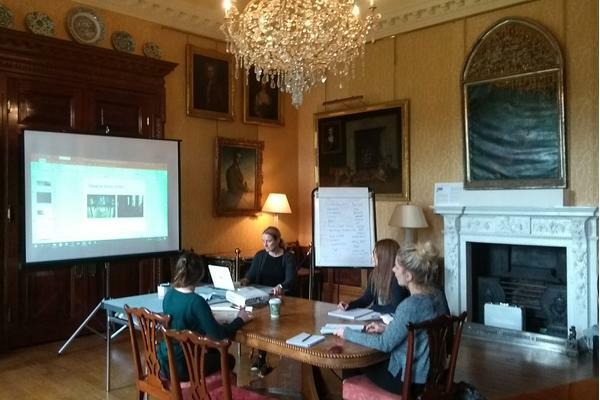 The collections and environment at West Dean have expanded my knowledge base in such a way that I have been able to apply my learning to my wider work environment. Our course is unique as we study how to care for historic interiors within a historic interior. We can be discussing how light damages textiles and turn around to see actual examples which adds huge value to us as students and our visiting tutors. Whilst we don't have a workshop like a lot of the other courses we have found that the whole house is our workshop. As an example of this, we had a two-day workshop on Collections Risk Assessment from two of the leaders of this field. Our training was based around the real-life scenario of the vulnerability of the Archive stored in the house here during the re-roofing project. 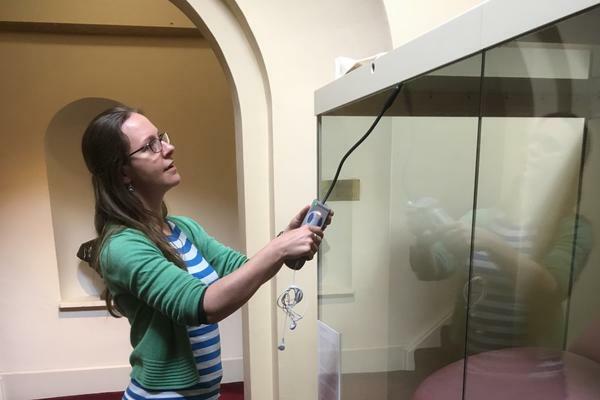 We were able to feed in to a risk assessment that the West Dean Collections team could then implement to ensure the safety of their collections. Since this workshop I have carried out a risk assessment of the Archaeological Collections stored at Dover Castle, been able to highlight the biggest risks to that collection and have therefore been able to start planning remediation options for these. I have also used the knowledge I have built up from the workshop and the practice at my place of work to feed into my dissertation which is looking at assessing the risks to a modern materials collection. Our assessed course work includes a variety of ways of communicating our work including conference posters, presentations and blogs. The practice of writing a blog post, which has since appeared on the West Dean website, gave me the confidence to approach the English Heritage media team with an idea and I have since had a blog post published by English Heritage to help publicise the launch of a new book on Integrated Pest Management. 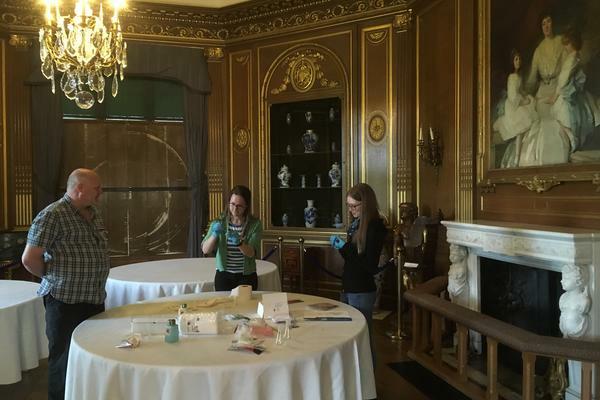 On our course we all care for and manage collections or aspire to do so, and another resource that we have at West Dean is the staff that professionally care for the collection here. They often make time to talk to us about how they manage the collections here as part of the business. An example of this is the way in which they care for the collections whilst holding hospitality events where food and drink is consumed. If they are successful nobody will notice that the seating plan and menu have been carefully designed to minimise the risks to the collections. It is not just the formal sessions with the staff here that are useful, informal chats in the corridor are just as valuable. 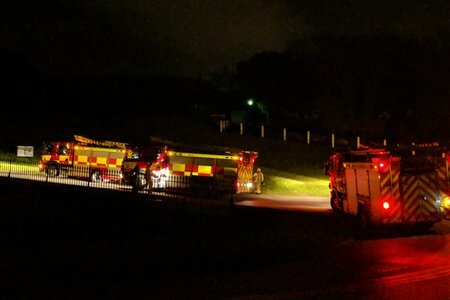 For example, a chat to Angie, the House Steward, resulted in a solution to the problems of open chimneys in historic properties which involves foam, netting and a drainpipe which I have been able to implement in English Heritage properties in the South East. I feel so lucky to have this unique opportunity to learn in such an inspiring and unique environment.